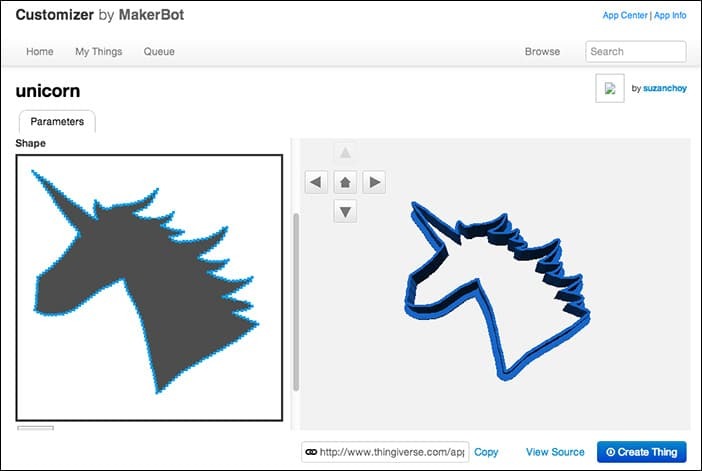 We love empowering our Thingiverse community to customize and build their own 3D objects. 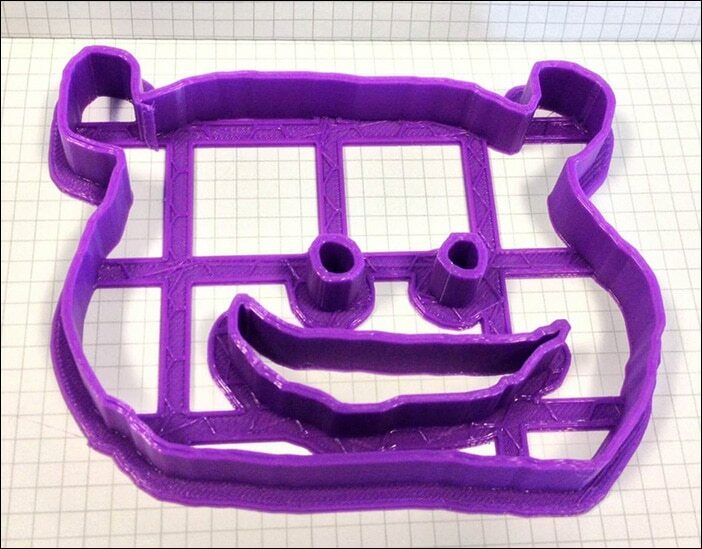 Today we’re debuting a new way to do just that – the Thingiverse Cookie Cutter Customizer! 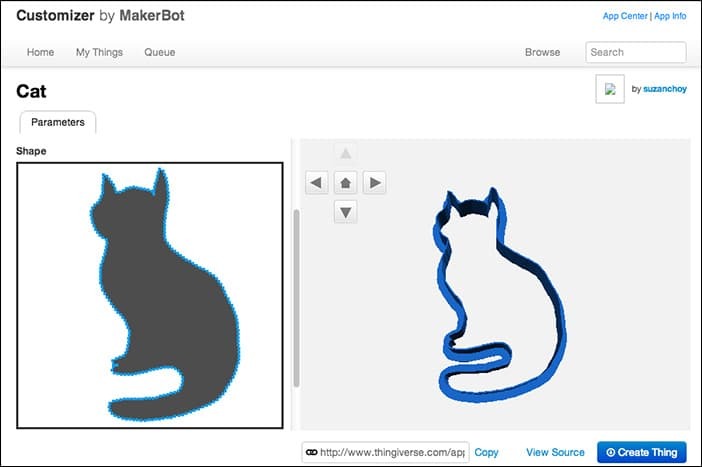 It allows you to draw freeform cookie cutters as a new extension of Thingiverse Customizer, the app that lets you create unique designs from a set of parameters and inputs, and then print them in 3D. MakerBot’s Angelo Tartanian, or atartanian on Thingiverse, wanted a simpler way to create an organic interface for Thingiverse Customizer users. 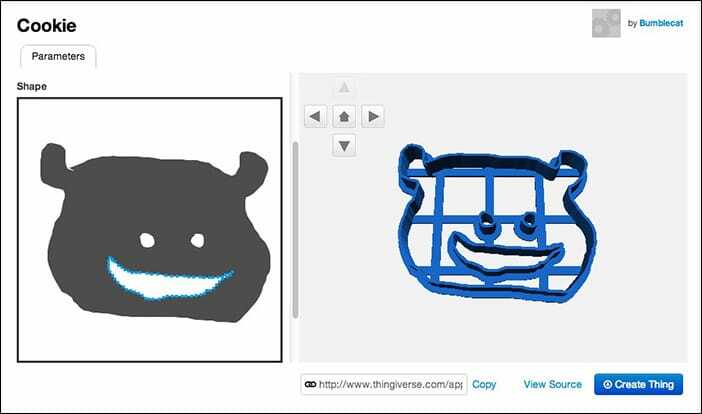 He turned to Paper.js, an open source vector graphics library that runs on HTML5 to create a free form canvas needed to draw cookie cutters with a mouse. These beautiful cat and unicorn cookie cutters were drawn using a tablet, while the gremlin below was drawn with a mouse. HERE’S HOW YOU DO IT: – Open in Thingiverse Customizer. – Select your preferred wall height and thickness. – Click “Clear” to start your image. – Use your mouse to draw a base shape. Play around! – If you like, add another shape inside your original shape. – Click “Create Thing,” and wait for Customizer to build your .stl file. – Print your cookie cutter at 0.2mm layer height and with two shells and start baking! NOTE: If you create a shape within another shape, a grid will attach the two shapes to each other to ensure optimal cookie cutting (see the gremlin below). The gremlin cookie cutter took about an hour to print – it depends on which wall height and thickness you select in Thingiverse Customizer. TRY IT OUT AND LET US KNOW WHAT YOU THINK IN COMMENTS!